Halogen client KFC has created a new way to boost its considerable presence at the roadside. At 800 sq ft, the latest drive-thru format is KFC’s most compact ever and almost half the size of its current smallest drive-thru. KFC has 918 UK outlets, with more than 40 new restaurants set open this year alone. 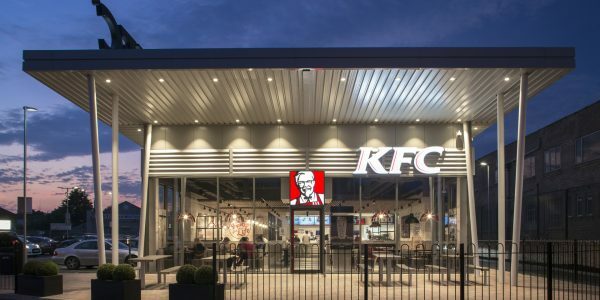 The ambition is for the brand to breach the thousand mark in the next three years, a target that Chris Holmes, chief development officer for KFC UK&I, believes is achievable. “In our market plan, we’ve got 550 vacant white spaces on the map. Of these 550, around 80 would count as a roadside opportunity, making it a pretty important chunk”, says Holmes.